Last year, in honor of Spina Bifida Awareness Month I chose to speak out about my personal struggle with Spina Bifida. You may or may not recall and can read the full story here. I have Spina Bifida, a congenital spine disorder that often causes chronic pain, nerve damage, orthopedic issues and paralysis. Although, plagued with chronic pain for almost the past decade and severe nerve damage I feel very lucky. My personal yoga practice and support system has truly helped me come to the place I am today. Without yoga I wouldn’t have been as strong physically, mentally and emotionally. After, my spine surgery almost 2 years ago I walked out of the hospital only a day later to start my recovery. Although not painless by any means I know that my personal yoga practice was a main element in my recovery. Not only was I physically prepared to take on such a surgery but I was able to pull from my yoga techniques to help myself self-regulate, lower my heart rate when stressed, be aware of what was going on with my body and identify what it needed. I continue my home practice daily and look forward to growing stronger in all ways. 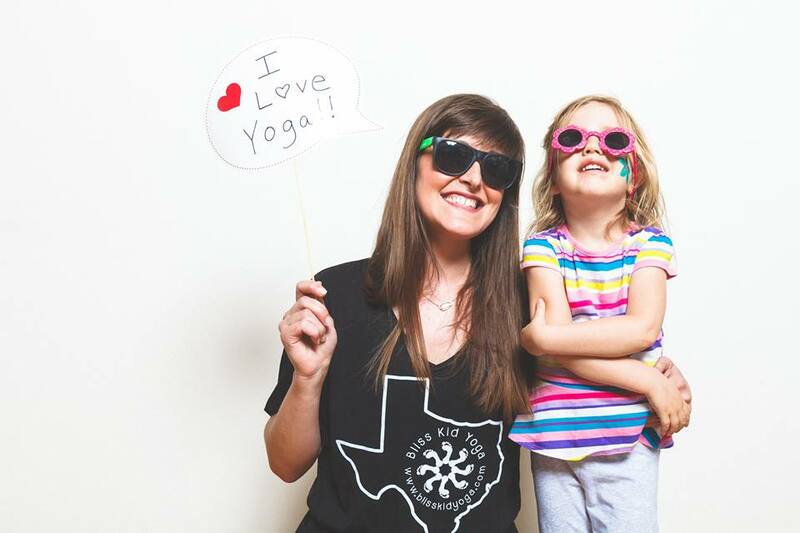 This experience is why turning Bliss Kid Yoga into a nonprofit was so important to me. It is my dream that children of all populations, backgrounds and abilities can experience the life changing benefits that I have received. Our goal as a nonprofit has been to make yoga accessible to all. We have worked closely with schools and many organizations such as Easter Seals that serve families who have children with exceptionalities. Many of these families struggle to make ends meet due to insurance and medical bills for physical therapy, occupational therapy and more. Due to increased pressures they are often stressed and don’t get enough time to bond together and have fun. By creating convenient, free, family friendly yoga classes for all abilities and ages, we are able to give families the opportunity to bond, distress and have fun in a safe and comfortable environment. We hope to continue to expand our family yoga programs for all abilities and reach more families. If you are interested in supporting this cause please click here. We encourage you to learn more about the benefits of yoga for children and we hope that you will join us in our mission! Namaste to all!